The purpose of this website is to provide healthcare professionals, patients, and everyone else a high quality and easy to use collection of online resources to learn about and use strategies for dealing with cancer. Your contributions to this collection are essential for making the collection useful. To become a contributor to the OERC Collection and Community, you begin with registering as a member of the MERLOT community. 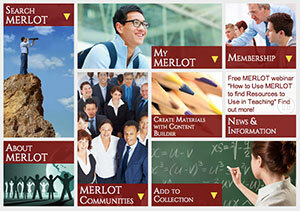 MERLOT is an open and free international community of researchers, faculty, teachers, administrators, librarians, students, and government, industry, and academic staff. The OERC Community is creating custom services using MERLOT's tools and 10+ years of experience supporting open international communities for online education. Learn more about becoming a Contribuor to the OERC collection. Catalog online resources that you have found to be very useful so others can easily find them as well. Learn more about catalog online resources in MERLOT. Write your comments and evaluations on how and why specific online resources have been useful to you. Whether a healthcare professional or a patient, your analysis of why a resource has been helpful provided a useful context for other's evaluation. Learn more about comments & evaluations in MERLOT. Create a "personal collection" of resources that you have found most useful for a specific purpose and provide an explanation why you created it. Others can review you list of resources, enabling you to share expertise and reflections on a group of resources. Learn more about personal collections in MERLOT.